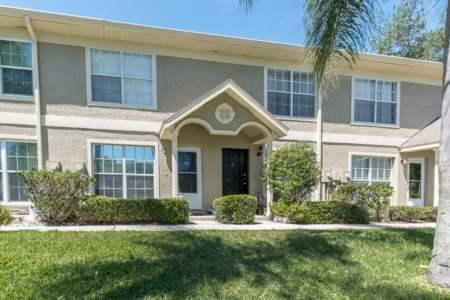 Ozona Trail is a lovely neighborhood of well-kept townhomes in Palm Harbor, Florida located on Vista Trail Court. The community of Ozona Trail offers some of the area's most desirable real estate. Homes here offer wonderful features such as tiled flooring, formal dining rooms, garages, fireplaces, and spacious master suites with garden tubs and walk-in closets. These homes are truly maintenance-free. There's no grass mowing or yard work, and you still have all the lovely landscaping of a beautiful palm trees and grand oaks. Homes at Ozona Trail have 3 or 4 bedrooms and well over 1900 square feet of living space. The beaches of Honeymoon Island are within walking distance, and all the shopping and dining of Palm Harbor are close by too. This neighborhood also offers an easy commute to Tampa and the airport. 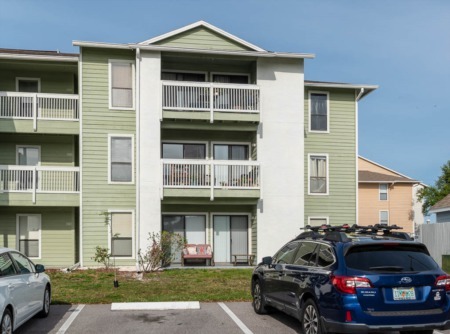 The community has an impeccable pool for resident enjoyment, and the Pinellas Trail is just a few steps away for afternoon walks. Highly rated schools in the area are a plus for families with young children. Ozona Trail is a great place to call home! Selling your Home in Ozona Trail? If you are thinking of selling your home give Lipply Real Estate the chance to work with you in making the best possible sale. We are confident our strategic Marketing Plan will be successful for you in the process of selling your home. Don't miss out on this opportunity and call us today!